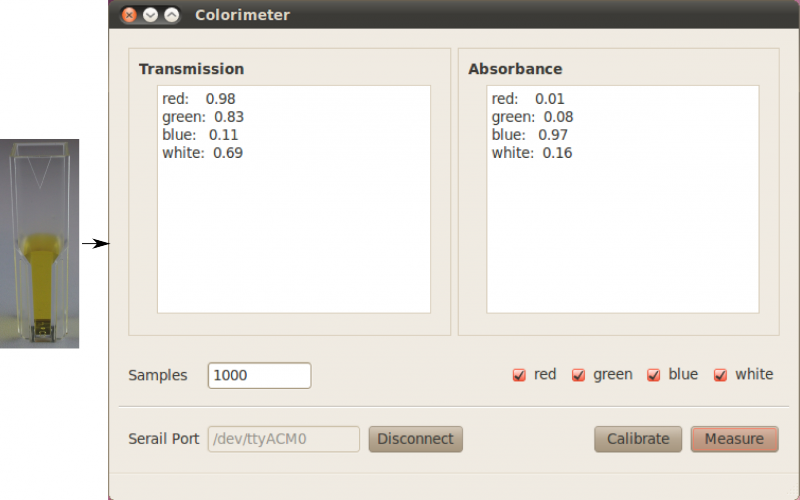 Colorimetry of tartrazine (yellow dye # 5) | IO Rodeo Inc.
Tartrazine (yellow food dye #5) has an absorbance in the 400-460 nm range with a peak absorbance of 425nm. A solution of tartrazine was diluted in water and absorbance values were measured using the colorimeter. An image of the result is shown on the far left. As expected, tartarazine absorbed light from the blue led (470 nm) but not red or green. The same stock solution of tartrazine was diluted further to obtain a standard curve. Absorbance was measured at 470 nm using only the blue led. 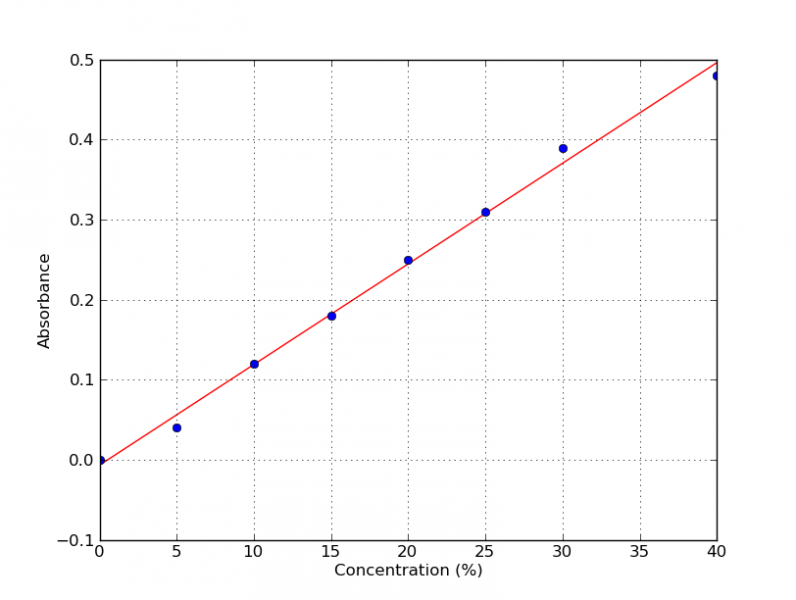 The linear relationship between absorbance and concentration is shown in the plot on the right.